I hope you enjoy the unique format of today’s show. While I don’t anticipate regularly bringing full length audio version of blog posts to the podcast, I felt this one was personal enough about my life that it warranted sharing… especially for those listeners who never visit the blog. If you have a topic you’d like to hear more about, let me know! Submit a show idea here, connect by leaving me a voicemail, tag or message me on social media (Instagram, Twitter or Facebook) or email me at regan@thisunmillenniallife.com. This particular episode is a transcript of the blog post I wrote about my experience. 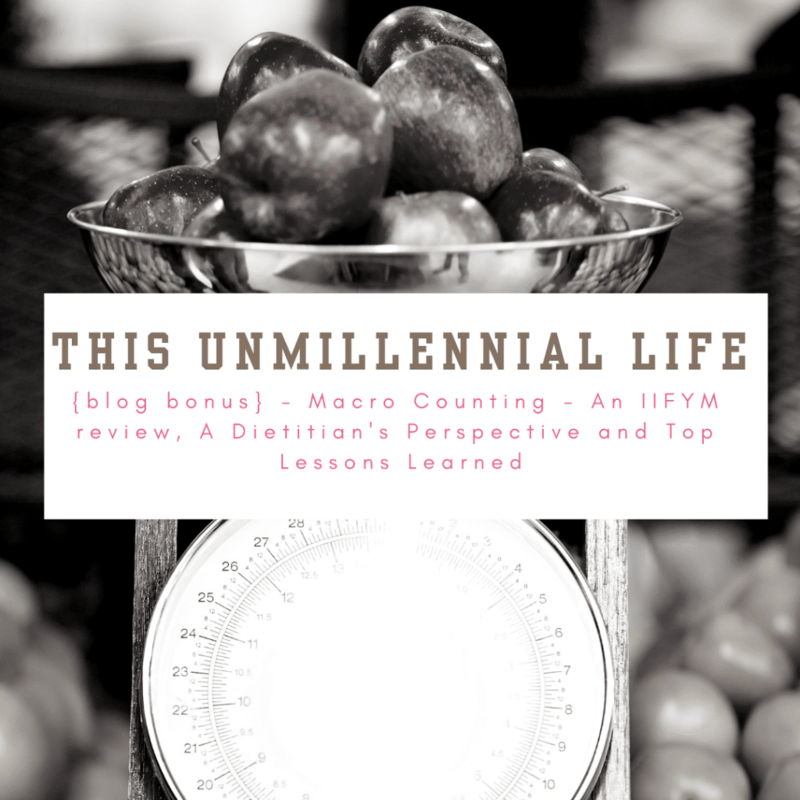 You can read that post here: https://thisunmillenniallife.com/dietitian-counting-macros-iifym-review/. Hope that helps!